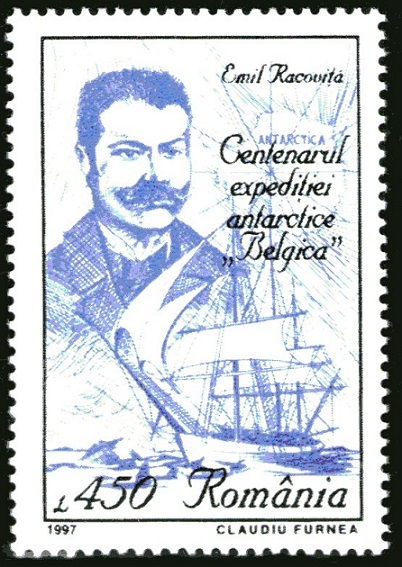 The Belgian Antarctic Expedition of 1897 to 1899 was the first expedition to winter in the Antarctic region. 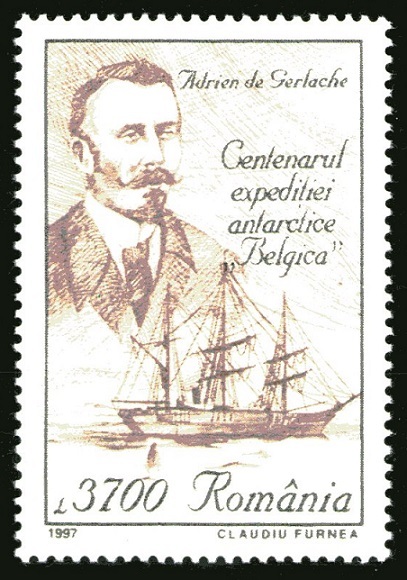 The expedition was led by the Belgian officer Adrien de Gerlache , who was also the ship's owner. On 16 August 1897, under the aegis of the Royal Society of Geography in Brussels, Belgium, the «Belgica», a former Norwegian wooden whaler , left the port of Antwerp , setting sail for the South. It was the ship that gave its name to the whole expedition. The three-mast ship was equipped with a 160 horse-power engine. The 19 members of the team were of various nationalities, a rare thing for that time. The first mate of the vessel was Roald Amundsen (who was to conquer the South Pole in 1911). The team was made up of Romanian biologist and speleologist Emil Racovita, Belgian physicist Emile Danco , Polish geologist and oceanographer Henryk Arctowski with his assistant Antoni Boleslaw Dobrowolski and American physician Frederick Cook . The team left the deck of the ship 22 times, in order to collect scientific data, to conduct investigations and experiments. «Belgica» made the first daily meteorological recordings and measurements in Antarctica, every hour, for a whole year. The scientists also collected information on oceanic currents and terrestrial magnetism , with as many as 10 volumes of scientific conclusions being published at the end of the expedition, which was considered a success. 3700L-Adrien de Gerlache -see more viewtopic.php?f=2&t=5868. 1600L-Roald Amundsen- see more viewtopic.php?f=2&t=16570. 650L-Frederick Cook - see more viewtopic.php?f=2&t=15641. 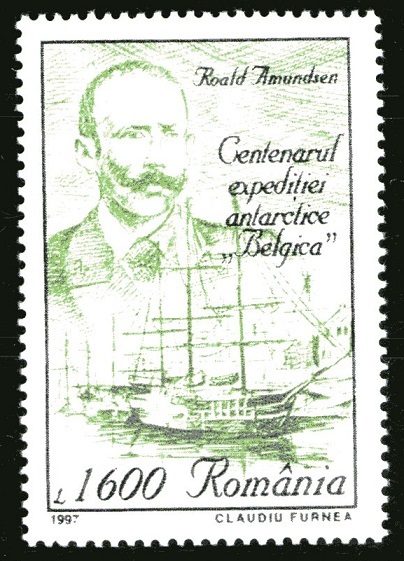 450L- Emil Racovițа was the first researcher to collect botanical and zoological samples from areas beyond the Antarctic Circle. The results of his research were published in 1900, under the title "The life of animals and plants in Antarctica". 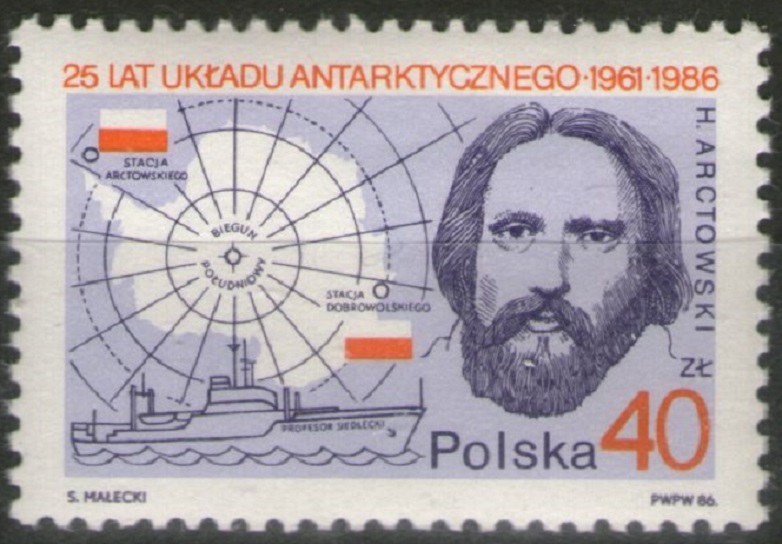 40Zl- Henryk Arctowski-was a Polish scientist, oceanographer and explorer of Antarctica. 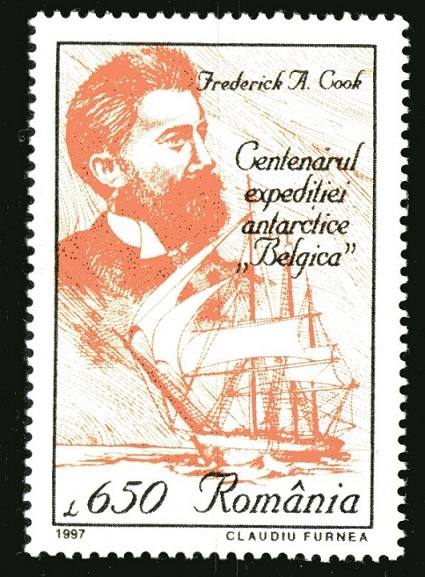 In 1895 he took connection to the organizer of the first Belgian Antarctic Expedition, Adrien de Gerlache de Gomery, and was hired by this as a research Assistant Director. In this Belgica expedition, which went from 1897 to 1899, Arctowski gathered a large amount of scientific data. So he documented the formation of sea ice and icebergs in many and collected the results of meteorological observations over a full year. As an oceanographer, he created with the help of probes a bathymetric map of the area traversed. After the expedition Arctowski prepared his data in the Royal Belgian Observatory ( Observatoire Royal de Belgique) on in Ukkel. 5Zl- Antoni Bolesław Dobrowolski - Antoni Bolesław Dobrowolski was a Polish geophysicist, meteorologist and explorer.While still a student in biology, physics and chemistry at the University of Liège he took part in the Belgian Antarctic Expedition (1897-1899) as assistant meteorologist. In addition he studied ice crystallography and light phenomena in ice clouds. These data enabled him to write a monumental treatise on the crystallography of ice and snow. After his return from the Antarctic he obtained a scholarship in Belgium to study his results and collaborated with Georges Lecointe at the Royal Observatory of Belgium. 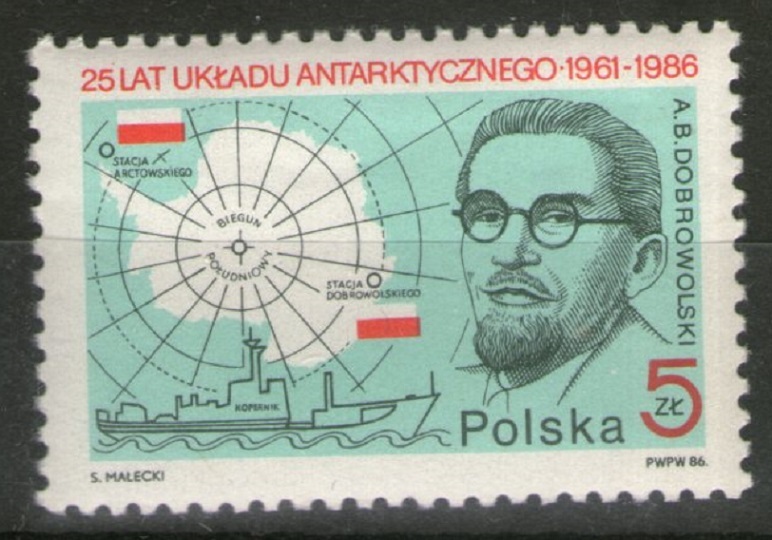 (65+55)gr- Arctowski and Dobrowolski were the first to conduct year-round meteorological and hydrographical observations off Antarctica. 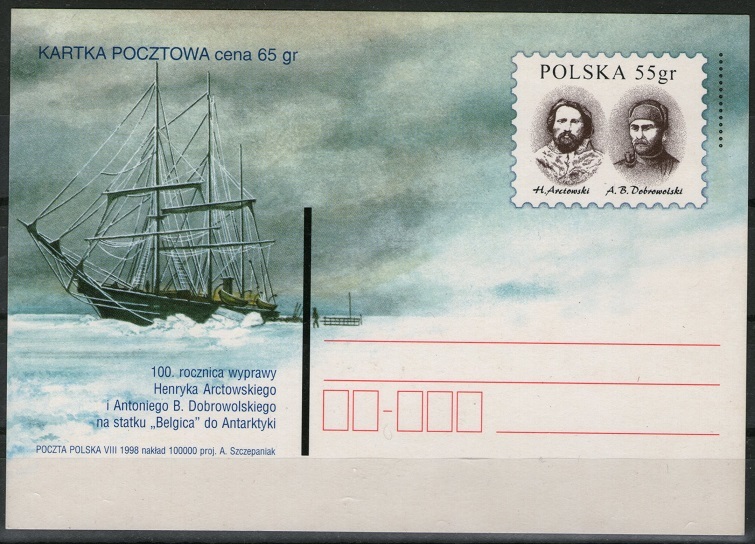 The postcard was issued in honor of the 100th anniversary of the participation of Arktovski and Dobrovolski in the Antarctic expedition on «Belgica» in 1898. Romania 1997;3700L;1600L;650L;450L;SG5903,SG5904;SG5905;SG5906. Poland 1996;5zl;40zl;SG3047;SG3048;(65+55)gr Postcard. Source:https://en.wikipedia.org/wiki/Emil_Racoviță. https://memim.com/henryk-arctowski.html, https://en.wikipedia.org/wiki/Antoni_Bo ... obrowolski.